Most teenagers are highly prone to meningococcal disease, which quickly becomes life-threatening causing bacterial meningitis. Meningitis refers to dangerous inflammation of both the spinal and brain lining. 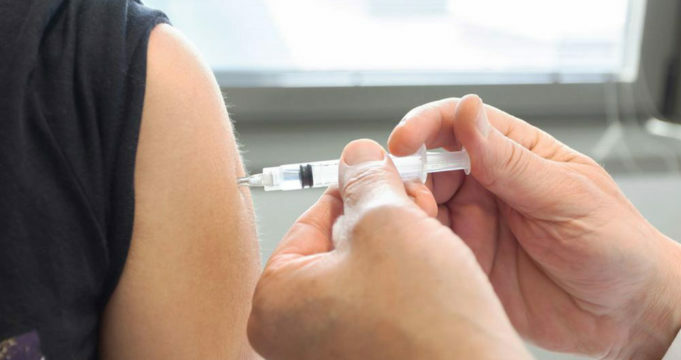 There are however bacterial meningitis vaccinations that are recommended and advised as a requirement especially for children, teenagers, and young adults. The meningococcal disease spreads easily via contact with body secretions from the throat and nose such as saliva. Sharing of utensils, lipstick, cigarettes, kissing, coughing facilitate the spread of meningitis, making it a highly risky illness to children, teenagers, and young adults. Meningitis manifests symptoms such as high fever, severe headache, stiff neck, confusion, nausea and vomiting, sensitivity to light, rashes, and exhaustion. Meningitis spreads very fast and can easily become life-threatening even after the administration of antibiotics. It is important to contact your doctor as soon as the symptoms manifest since they can be easily confused with flu symptoms. There are two types of bacterial meningitis vaccinations i.e. Meningococcal Polysaccharide Vaccine (MPSV4) and Meningococcal Conjugate Vaccine (MCV4), which are recommended for protection against four types of meningococcal disease. The third type, Serogroup B meningococcal vaccine, protects against serotype B bacteria that causes meningitis. Administration of the bacterial meningitis vaccinations is highly recommended for teenagers and young adults because statistics indicate that 15 percent of teenagers and young adults that get meningitis disease always die even after the administration of antibiotic treatment while about 20 percent have side effects such as brain damage, loss of limb, seizures and hearing loss. Remember meningitis can cause death or permanent disability hence the need for vaccination as a preventive measure. Who Should Get the Bacterial Meningitis Vaccinations? Children aged 11 to 12 years should receive the first shot meningococcal vaccine, followed by a booster dose at 16 years. Adolescents aged 13 to 18 years should also get the vaccine especially if they did not get it at age 11 to 12. Children and teens with low body immunity from chronic illnesses such as HIV and AIDS should get the vaccine.